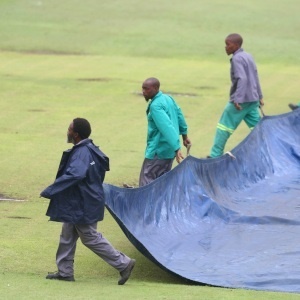 Cape Town - The rainy weather followed the Dolphins from Kingsmead to Willowmoore Park as their RAM SLAM T20 Challenge match against the log-leading Titans was washed out without a ball being bowled. It was the third match out of five in which the Dolphins have not been able to get on the field. Nevertheless they remain in second place on the log, depending on the outcome of the other matches that are taking place this evening with the two points they picked up. They now have 10 points from their five games. The Titans move on to 21 points, also from five matches. The two captains did manage to carry out the toss at which Titans captain Albie Morkel opted to field first but that was as far as the game got.